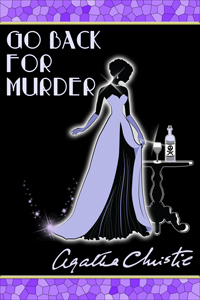 One of our club members, Johnette Russell (stage name Johnna Leigh), will be appearing in Agatha Christie’s play “Go Back For Murder” at the Garland Civic Theatre . Why not get a group of friends together and enjoy a night out at theatre! Tickets are $22 and can be purchased by phone at the box office (972) 205-2790. Our next and final SGC Summer Symposium for 2013 is Tuesday, August 13 at 6:00 p.m. at Janet Nevil’s home, 582 North Collins, Sunnyvale, TX. Potluck Supper (Oh, so good!) We will eat first, then make Earth Buckets. We need to know how many people will be attending – so we can purchase supplies accordingly. So, please e-mail Rachel at Rachel.doyle@att.net if you plan to attend. We will be making Earth Buckets. What is an Earth Bucket? 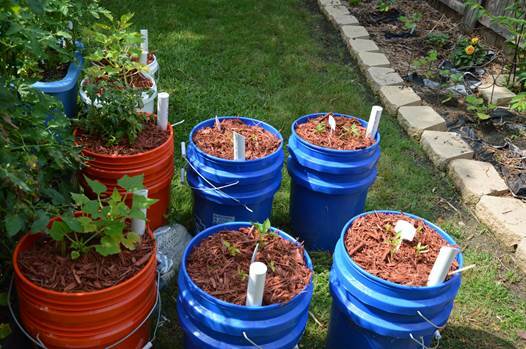 It is a water-wise or self-watering system for growing vegetables or flowers in a bucket – actually, two buckets. I have made about 18 Earth Buckets for my garden this year. They have worked very well; I have planted tomatoes, squash, peppers and cucumbers in these buckets. Everything is still alive and producing veggies. 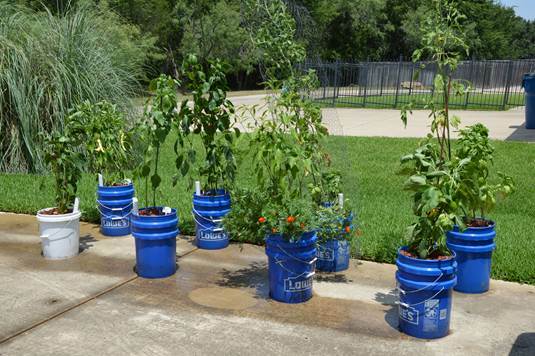 I recently had to move 8 of the Earth Buckets to my driveway so my peppers & tomato plants could get enough sunlight. Can you believe that I could move full grown plants to a new location in the middle of the summer?! You will need to bring TWO 5 gallon buckets. We will supply the tools needed (drills & jig saw), the watering pipe, the potting mix and a tomato plant that Janet has grown for you. Sallyann and her husband Gary, have generously supplied some green 5-gallon pickle buckets, but there will not be enough for everybody. You can re-cycle some buckets (TidyCat litter buckets will work well, too) or you can buy new buckets at Lowes (blue), Home Depot (orange) or white (Wal-Mart). They are about $3 each. I prefer the buckets at Lowe’s and Home Depot because they have a 3” lip that will provide a deeper water reservoir. I will also show you how to make an Earth Box, but we will not be making Earth Boxes on Tuesday night – they are too heavy to move! The blue containers in the photo below are my homemade Earth Boxes. They work really well. 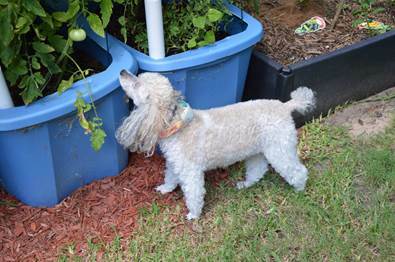 And, yes, my little stinker, Buddy, did get that tomato – before the other critters in my back yard got it. This is an event that you may want to invite your husbands or sons to attend. They like to drill and cut holes! (I am not suggesting that you can’t do it, but we know that the guys love to use power tools!) You know they will enjoy that great potluck food! Y’all can drill/cut holes in as many buckets as you bring, but we can only supply watering pipes and potting mix for one Earth Bucket per family. We need to know how much potting mix to prepare and how many watering pipes to make. So, please send an e-mail to Rachel to let her know if you plan to attend and make an Earth Bucket. There is no need to reply if you are not planning to attend. Hope to see you Tuesday night. You can go home with a tomato plant for your portable fall garden – and with this self-watering system, you should be able to keep it alive through our hot August.